I hate selling disguised as information. Most of this website and all of the main edition of my new book Lean Business Planning (coming soon) is about business planning without regard to software. It’s software neutral. 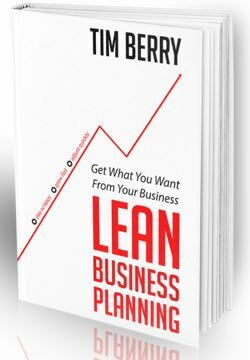 Planning is planning, and so is lean business planning. The tools don’t matter. It’s about the end result. However, I also love LivePlan, published by Palo Alto Software, my company. I’m conceptual author, and I have a financial interest; so I’m very biased. Yes. LivePlan is far-and-away my favorite tool for working with lean business planning. It builds correct financials from your guided assumptions, so you do have projected cash flow, almost automatically. So too, your three essential projections, plus milestones, scheduling, and everything else you need to do your original lean business plan. And – better still – you can connect it to your accounting to get the automatic management features to make the entire plan-run-review-revise process of lean business planning real.